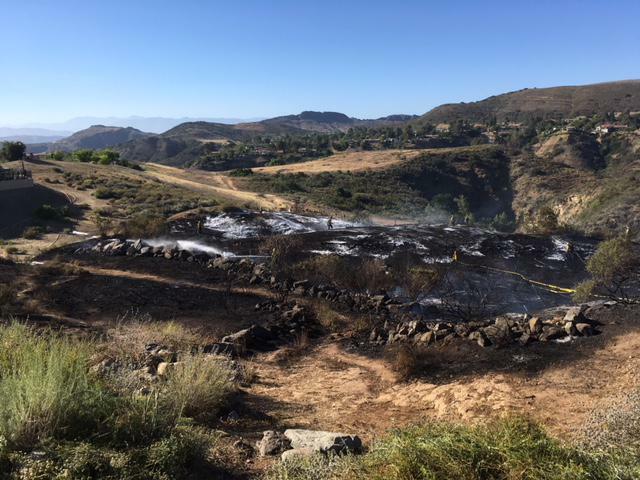 KCLU's Lance Orozco reports on a brush fire which briefly threatened some homes in Ventura County Tuesday afternoon. Firefighters quickly knocked down a small brush fire in eastern Ventura County which burned close to some homes. 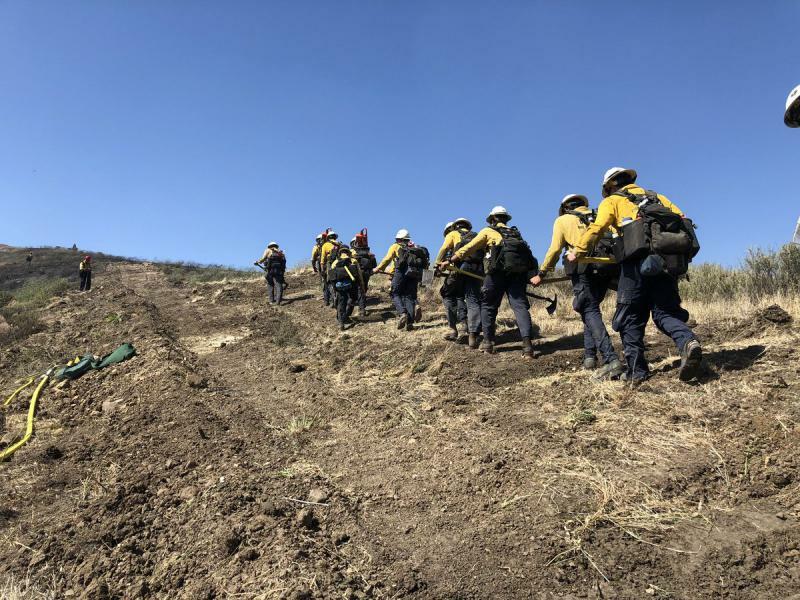 The fire was discovered just after 4:30 Tuesday afternoon in a rugged canyon behind Arroyo Vista Street, north of Highway 101 in Newbury Park. The fire burned up to the backyards of some homes, but more than 50 Ventura County firefighters aided by helicopter water drops stopped the flames. The estimate of the size of the blaze was downgraded to about two acres. No structures were damaged. No evacuations were ordered, although some people who lived in homes on the ridgeline above the canyon were ordered to shelter in place. Santa Barbara County firefighters have the upper hand on a brush fire on the Central Coast which caused a scare Thursday afternoon. The fire started in the Happy Canyon area of the Santa Ynez Valley just before 1 p.m. Windy conditions quickly expanded the fire to about 60 acres. As of 5 p.m., it was 50% contained. No homes were threatened. Investigators say a hay harvesting operation triggered the blaze. Firefighters have fully contained a brush fire on the Central Coast which caused some big concern when it was whipped out of control by wind. The fire started in the Happy Canyon area of the Santa Ynez Valley at around one Thursday afternoon. Santa Barbara County firefighters initially thought they had the upper hand on it, but had to call in more resources when the wind spread the flames. 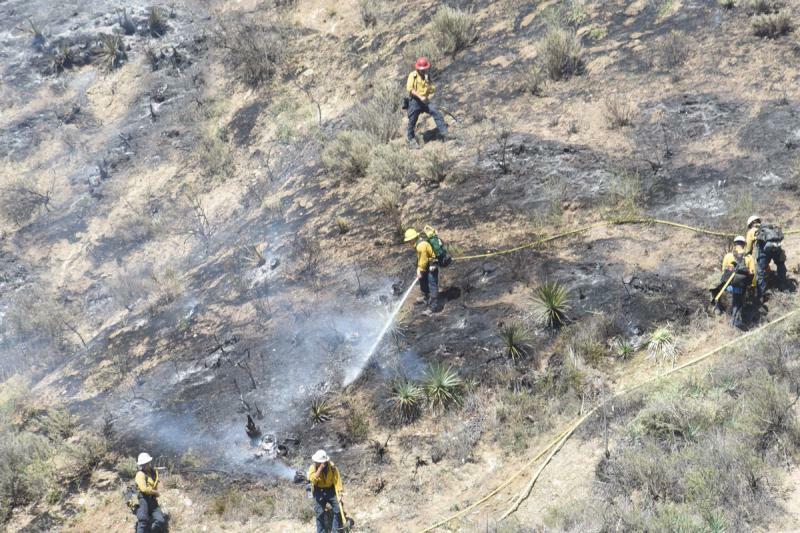 Firefighters are continuing to mop up a brush fire that’s now been burning for more than a week in the Channel Islands. 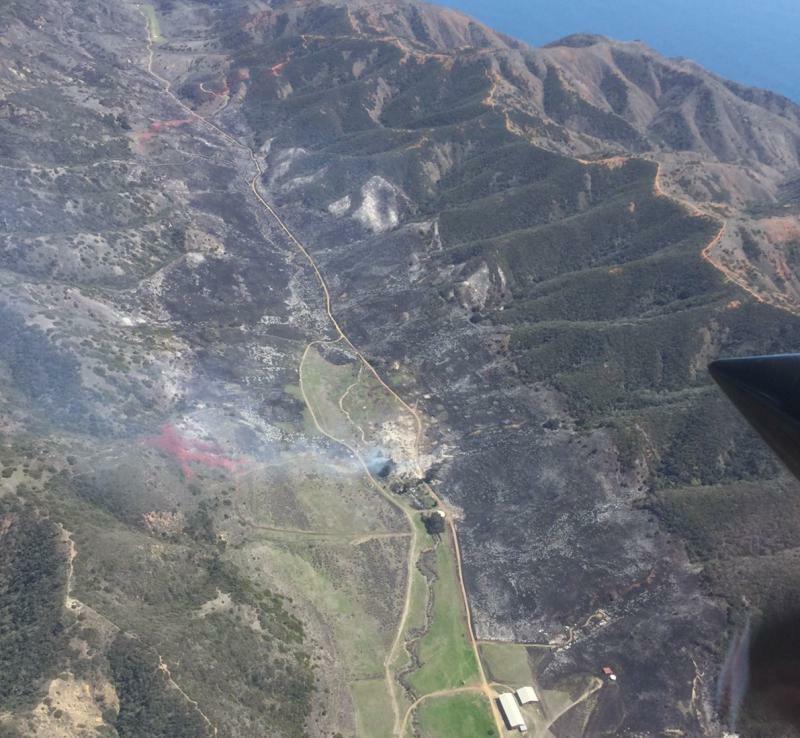 Containment is now up to 80% on the fire which started March 27th on Santa Cruz Island.